About 200 international students from over 190 partner universities across the world study at our university, where the campus creates a multicultural space that looks like an epitome of the world. It is the stage of cultural exchange where you can spend time with international students and other students in the student residences, join clubs and societies to enjoy sports and cultural activities, and engage in casual conversations with them after lectures. 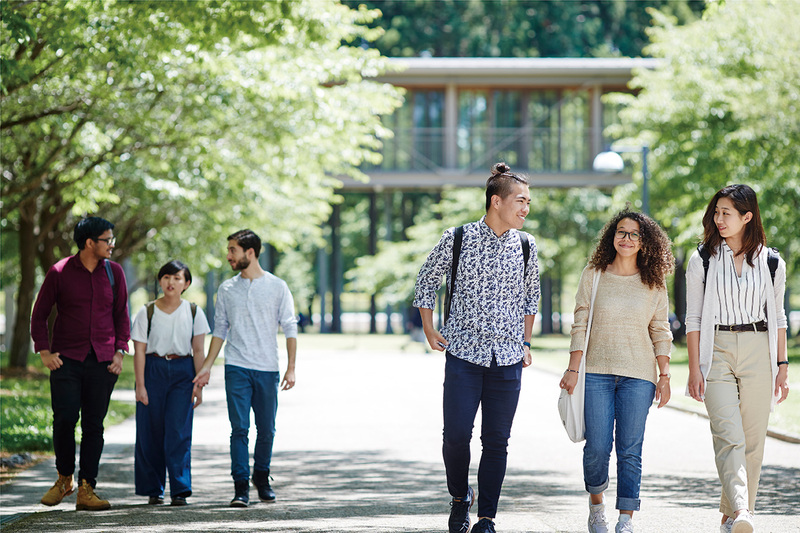 Since the University attracts students from almost all the prefectures in Japan, students are also exposed to different cultures within Japan as well as cultures outside of Japan. This small university in Akita is where many different cultures of Japan and the rest of the world gather and interact with each other. Campus life at Akita International University help students grow and enrich their minds. This small university in Akita is where many different cultures of Japan and the rest of the world interact with each other. Akita International University is a culturally rich place where many different cultures across the country gather, from Hokkaido to Okinawa, as well as cultures from the rest of the world.